It’s a big day for indie oddball Mac DeMarco, who announced Wednesday that he’s starting his own label—it’s called Mac’s Record Label, because this is a professional creative person we’re talking about—and embarking on his first-ever solo tour, the far more imaginatively titled Purple Bobcat Next to River Tour. 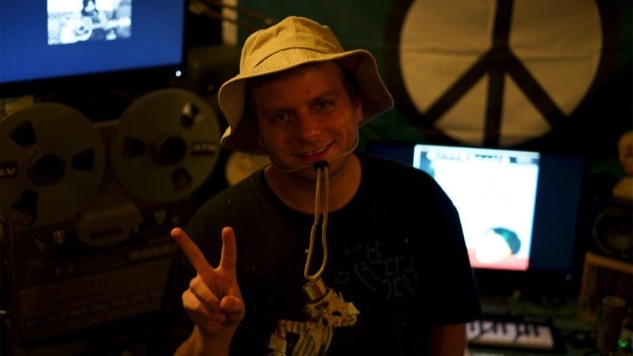 DeMarco has worked with Captured Tracks for the past six years, releasing his debut 12” Rock and Roll Night Club via the label in the spring of 2012 and following soon after with his rookie LP, 2. Needless to say, the inception of Mac’s Record Label, to be distributed globally by Caroline, represents a significant step forward for the artist. Hi, it’s Mac. We’re starting a record label; it’s called “Mac’s Record Label.” My friend Jen who plays drums in The Courtneys gave me the name. Also there are more shows. There are indeed! 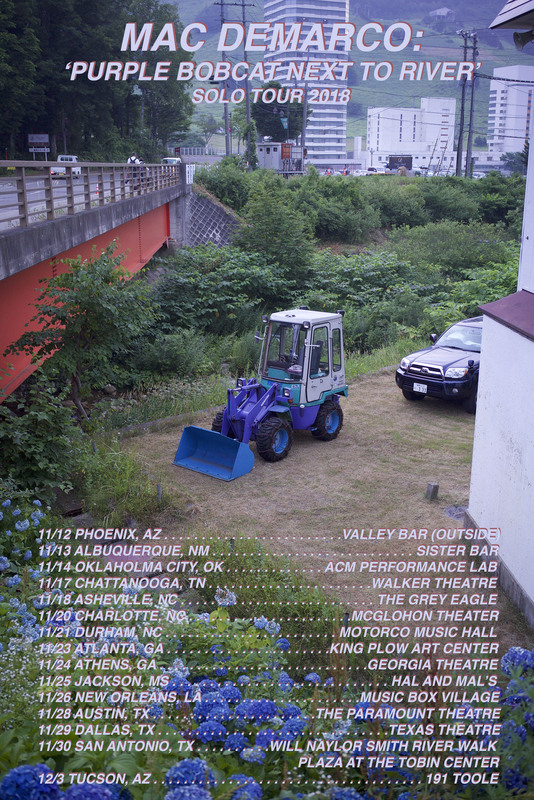 DeMarco’s Purple Bobcat Next to River Tour comes on the heels of a European/U.K. run, as well as some of the biggest U.S. shows he and his band have played to date, including venues like the Hollywood Palladium, Colorado’s Red Rocks Ampitheatre, Central Park SummerStage, The Anthem in D.C. and Philadelphia’s Mann Center. His solo run kicks off in Long Beach, Calif., on Nov. 3-4 and runs through a Dec. 3 date in Tucson, Ariz.
DeMarco is teaming with PLUS1 for both his EU and solo tours, with $1 from each ticket sold going to support local Girls Rock Camps and their work empowering girls, trans and gender-diverse young people through music education and mentorship, per a press release. DeMarco’s most recent LP This Old Dog, released in 2017, was his third and final on Captured Tracks. Since then, he’s teamed up with The Flaming Lips, sold signed vinyl to benefit Puerto Rico, announced a This Old Dog demos LP, released new music as Met Gala and covered “Honey Moon” by Japanese musician Haruomi Hosono. With all the creative momentum he’s maintained, we’ll be eagerly awaiting news of DeMarco’s Mac’s Record Label debut. Find DeMarco’s full band and solo tour dates below, beneath a 2013 performance of 2’s “Ode to Viceroy” (and others) from the Paste archives. You can find out more about Mac’s Record Label right here.